image	Homework and Revision: How Google Classroom, Quizlet and Padlet transformed homework. The homework from my class was poor. It was late or non existent, results on tests were poor, or it was rushed and scrappy. 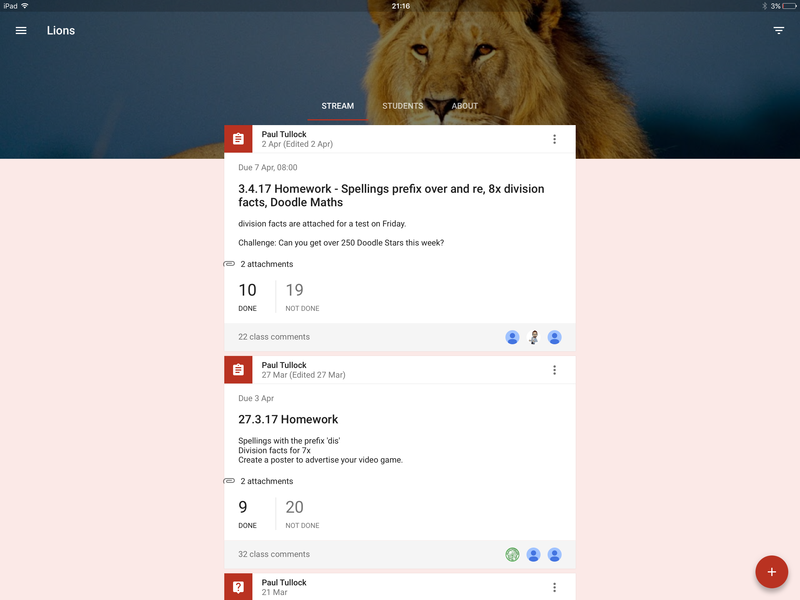 Until I tried a different approach using Google Classroom, Quizlet and Padlet. It’s fair to say that I’m not a massive homework fan for Primary children. I recognise that it can have a positive impact, but far too much of the time its a nuisance for children, parents and teachers. I don’t recall getting much homework in primary school, apart from the odd project. As a parent, I want to spend quality time with my kids on weekends and evenings, not sitting for hours doing homework. These times are far too prescious: my baby girl is suddenly 5 next week and it seems to have gone on the blink of an eye. On top of that, there are so many clubs and activities that children participate in that have such a positive impact in their development, that homework can become a nuisance, with many parents often stressing about completing on time, knowing how to, or doing it themselves rather than the children! Sometimes it also feels like its another thing to plan, prepare and mark. My point of view is that kids should be allowed to be kids: climb trees, ride bikes, go to the park, collect shells on beaches, forage in woods. I have seen countless worksheets from various planning websites go home for SPaG, cloze procedures and pages of maths questions. The only thing I want my class to do is to practice spellings and times tables, and maybe half termly/termly complete a project based around our topic. Plus, I hate the photocopying, preparing and handing out homework books and sheets. So I decided there must be an easier way. I’ve been using various things in class to try and make my workload and preparation a little easier. I love Socrative, it has saved me hours marking, assessing and planning to plug the gaps. My only grumble is that the quiz has to be running and can’t just be accessed when needed. This is a problem because I use it often in class for polls and discussions, so can’t set a quiz or a test for homework as I have to finish the quiz to use other assessments in class (I am dabbling with Google forms now to create quizzes, but that is for another post someday once I have honed that skill). I also love Seesaw. It’s a great way to collect an amazing array of work, from practical and creative, to digital. I love how the parents and children can share the work and interact with each other. I wanted to use this to encourage creative homework, but if children logged in at home that would open up access to the whole classes work, and that wasn’t something I wanted to do. Come in Google Classroom, Padlet and Quizlet. I started using Google Classroom just before Christmas with my class after initially sharing resources via folders on Seesaw, or by just dropping them in without attaching them to children. Although my class are professionals at downloading the resources to their iPads and opening them in other apps, I slowly found that the calendar feed on Seesaw were becoming clogged and removing them was becoming a hassle. So I decided to spend 30 mins with my class setting up Google Classroom and exploring the features. We enrolled, then explored the Facebook like feed. I created announcements and asked questions, and the class responded by commenting on the feed. I then created an assignment, adding in photos and a copy of the Google Doc to be used for each pupil (it was a simple SPaG exercise based around the fabulous resources by Pobble). We quickly found that it was easy to use and interact with each other. My mind immediatelty went to setting homework via Google Classroom and I was very excited by the prospect of not having to print, trim, handout/stick resources into books, let alone marking! Hours would be saved! My next step was to give them quick, easily accessible and useful resources. I dabbled with an app I had downloaded a long time ago but never got round to using, Quizlet. 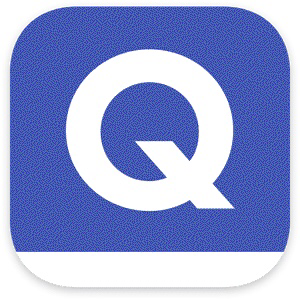 Quizlet is a fantastic free tool for learning and revision. It allows you to create flashcards with terms and definitions for any subject (there are also hundreds already made by other teachers if you want to save time, but I always like to make my own to make sure they are appropriate), it is so quick and simple that I usually make a set for spellings and maths facts in a 15 minute playtime. You can add pictures and explanations, and the app will read the flash card to the user: great for different learning needs and abilities, EAL children, dyslexia etc. There is also a subscription teacher edition which has some interesting features (including Quizlet live, a game for teams) but I have yet to try due to budgets. 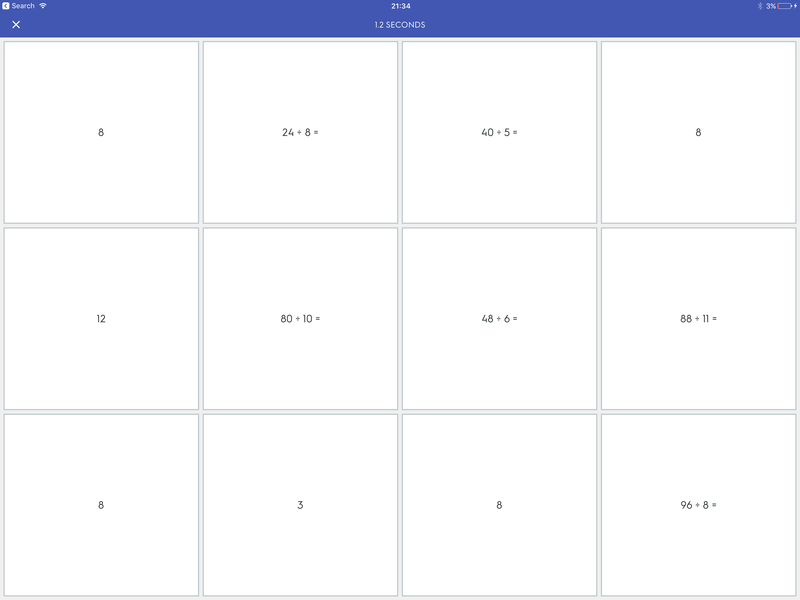 The user can then learn the content using the flashcards, but I really love this app for the other ways the children can practice their learning. It also allows you to print the cards in a PDF format with terms and definitions so anyone without wifi/computer access can still learn, thus saving you having to make paper copies. WIN WIN! The app then allows the user to learn the cards in order, select the cards they want, play a Match game with terms and definitions (below), or complete a test. Teachers can create a class and invite students, and when they complete the match game it gives a leaderboard of top times for the class. This has lead to a dramatic increase in homework revision in my class, and its great to see how competitive some children have become. They screenshot their results and post them into the feed and personal folder on Classroom. This allows me to comment, give feedback and encouragement, as well as keep a copy in my Drive. At the end of the week, the spellings and maths facts that have been given are then tested using Socrative for spellings, and Kahoot! for maths facts, both giving a spreadsheet of results and question analysis, saving me hours of time, making home learning more engaging and easier (can be done anywhere, anytime, any length of time), but also gamifying it to make it competitive thus increasing interaction. Padlet is an old favourite of mine, it has so many uses, I love it. Pre learning or topic question? Collect ideas on Padlet. Post learning or topic question? 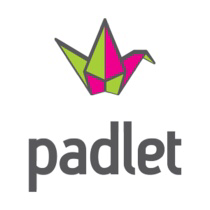 Collect ideas on Padlet. Researching or identifying features of texts? Collect using Padlet. SPaG or Vocabulary examples? 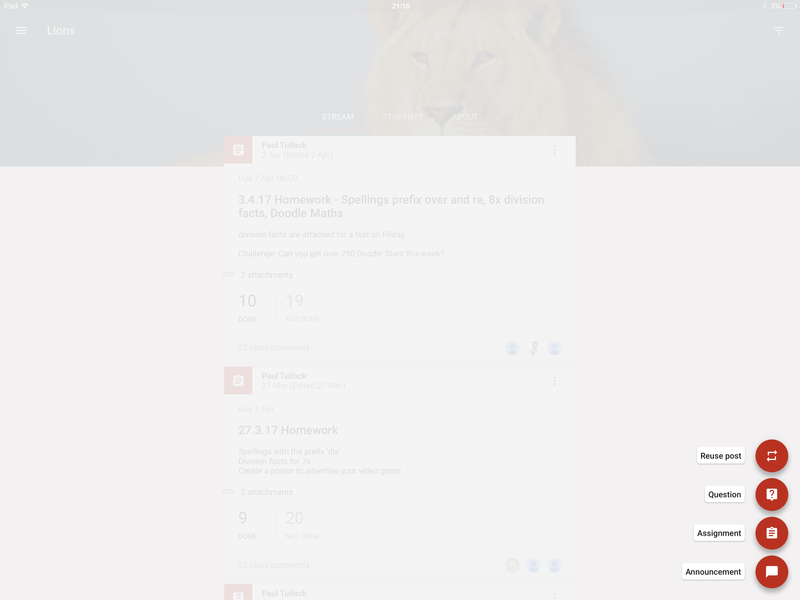 Create an easily accessible working wall using Padlet. Want to focus more time on learning and supporting? Use Padlet to create flipped learning resources for the class that they can access at their own pace, freeing up your time to support where needed. The possibilities are endless. So I decided to use Padlet to set creative topic work, with a range of activities and ideas, then attached the link to Google Classroom, Seesaw and Class Dojo so both pupils and parents had it. That way the pupils can access the ideas: research the Egyptians (Photos, Google Slides and Docs, Popplet, Pic Collage etc) create a video about the Egyptians (iMovie, Spark Video, Explain Everything), make a model of a Tomb (photos, iMovies, Yakot Kids, Tellagami or bring it in!). Not only can they access the ideas, but they can also post the digital versions on the Padlet, making them accessible to all (some like to look at others for inspiration), a quick display can be made using a QR code or Aurasma, but most importantly for me its easy to view and collect! It’s the small wins that keep me going, but most importantly keep my class engaged. Give it a go, its quick, easy and effective. Previous Encouraging staff to embed technology in the classroom: the birth of the Magnificent 7.